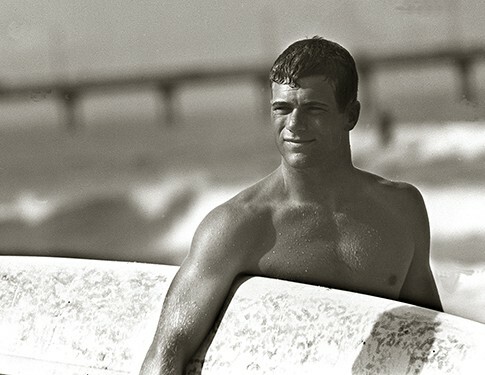 Mark Martinson "2009 Surf Champion"
Born in 1947 and raised in Long Beach, Mark's signature moment came in 1965 when he won the U.S. Championships. 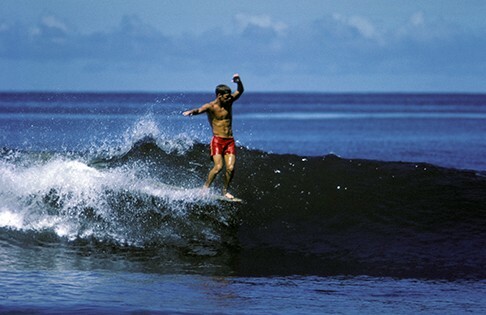 Martinson started surfing at age 10 and six years later was runner-up in the 1962 West Coast Championships. In the mid to late '60s Mark crisscrossed the globe with the MacGillivray/Freeman team filming Free and Easy and Waves of Change. 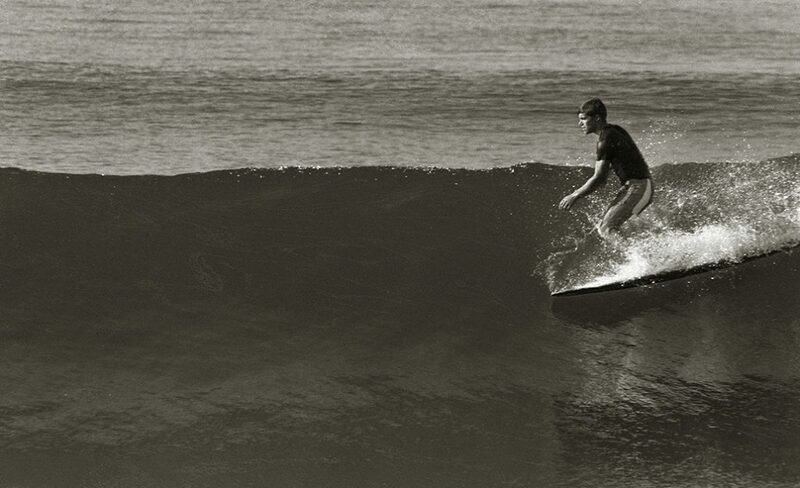 Although 1965 was Martinson's "competition" peak, he's recognized for being among the first California surfers to convert to the new, shorter boards. 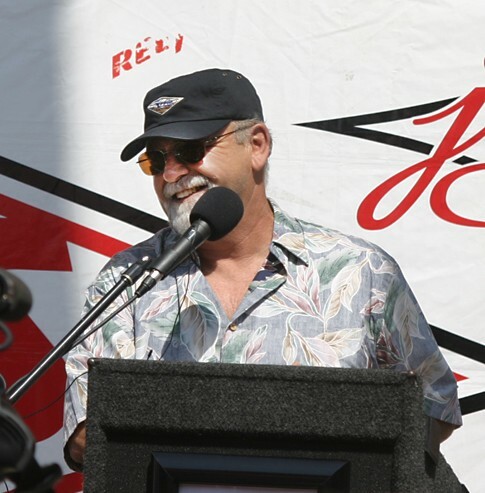 PHOTO: Induction Day 2009, Mark at podium receiving award. PHOTO: Courtesy of Leo Hetzel. 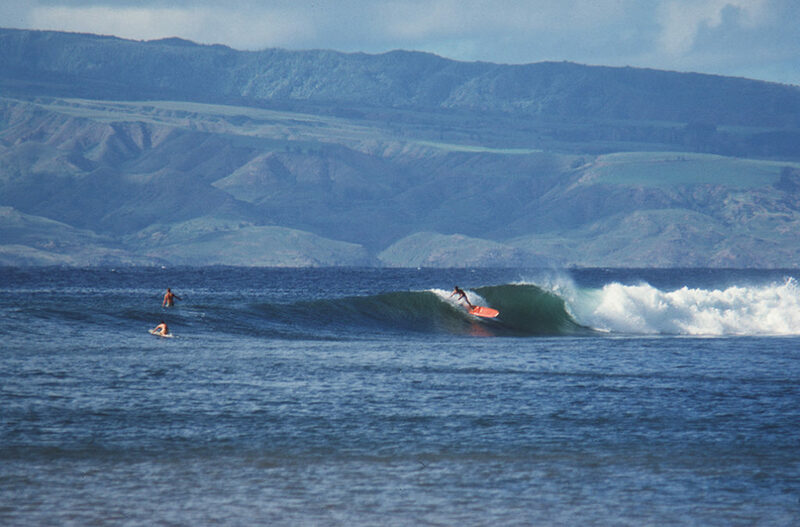 Mark Martinson grew up in Long Beach, but now live in Hawaii where he lives on the north shore. He spends quite a bit of time in California with his friend Robert August, of Endless Summer fame. When in California he shapes surfboards for Robert August Surfboards in Huntington Beach. 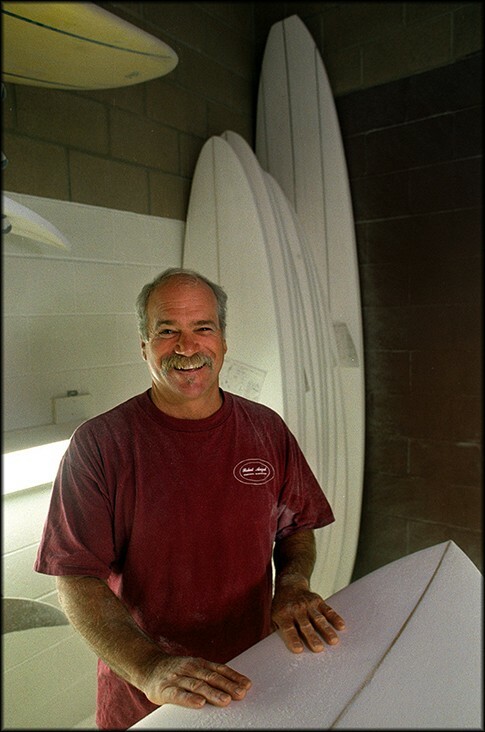 Mark has his own model of surfboard which is one of several models offered by Roberts surfboard company. 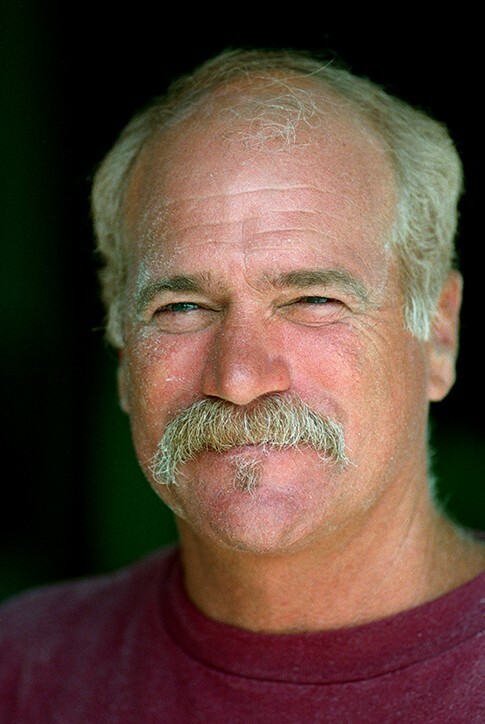 Mark is still an avid surfer and travels around the world to surf. PHOTO: Mark Martinson in the 1960's. Photo courtesy Leo Hetzel. PHOTO: 1964 San Blas Mexico, left point in front of village of Atacama. Photo courtesy of Leo Hetzel. PHOTO: 1965 Mark Martinson. Photo courtesy of Leo Hetzel. PHOTO: 1965 Honolulu Bay, Maui. Photo courtesy of Leo Hetzel.